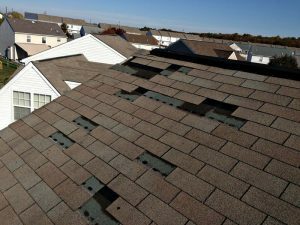 In need of roof repair in Ridgefield CT? Torn up or missing shingles aren’t just a curb appeal disaster — they can compromise the integrity of your home and leave you at risk for mold exposure, flooding, and costly home damage. If you suspect your roof might have a weak spot or two, it’s time to call the professionals. 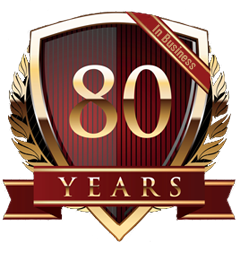 Andy’s Roofing offers roof repair in Northern Fairfield County & Litchfield County that’s backed by over 80 years of experience, fully licensed roofing contractors, and the best roofing materials — that way, you can rest easy knowing you’re stopping roof leaks in their tracks and protecting your home from damage. 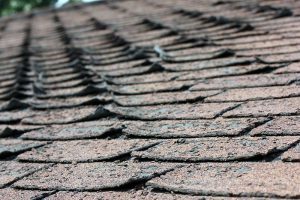 Shingles showing the signs of damage listed above are most likely nearing the end of their lifespans, which can leave your home susceptible to leaks and moisture permeation. Bare or “bald” spots on your roof, caused by missing shingles. If you’re missing patches of shingles (and haven’t experienced a storm recently), it means they’re no longer strong enough to withstand everyday weather. In addition to your damaged roof, weak shingles can come loose and hit your car or a neighbor’s house. You find stains on interior walls and ceilings. Stains coming from your ceiling or trickling down the walls means that water penetrated your roof lining and is making its way into your home. Call your Andy’s Roofing immediately, as this issue can lead to mold buildup and home damage. You can see sunlight from your attic. If you look at the ceiling of your attic and notice tiny streams of light coming through, you have holes in your roofing that can let moisture and water in. Call Andy’s Roofing as soon as possible to seal things up. You have higher energy bills. Openings in your roof let outside air in and comfortable HVAC air out, leading to lowered energy efficiency and higher energy bills. The roof repair team at Andy’s Roofing is happy to diagnose roofing problems and provide speedy roof repairs so you can have a safe, sturdy, and energy efficient home. If you think you might have a roof leak or any other roofing issue, call us today.